Ideas for Scrapbookers: Special Guest Artist: Sarah R.
Special Guest Artist: Sarah R.
Hey! It's Pam here sharing another special featured artist. I love to showcase special talent and our artist this week creates beautiful one of a kind projects. Her name is Sarah and you can see her blog at http://sarahs-scrapbook.blogspot.ca/ . 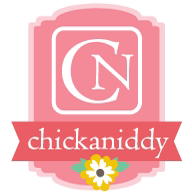 Make sure you take a blog hop over there to see it! 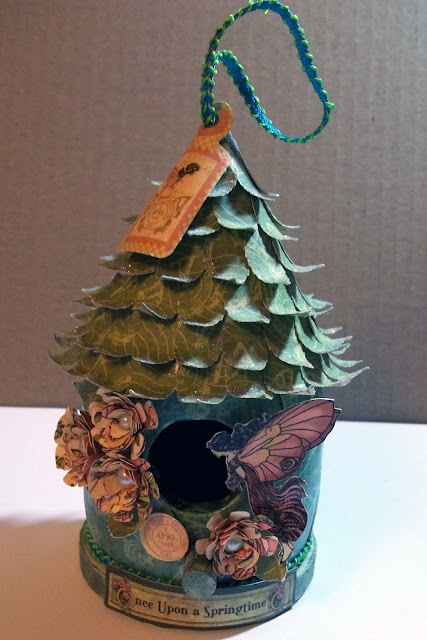 Sarah is sharing a really pretty tutorial on how to make fairy houses. 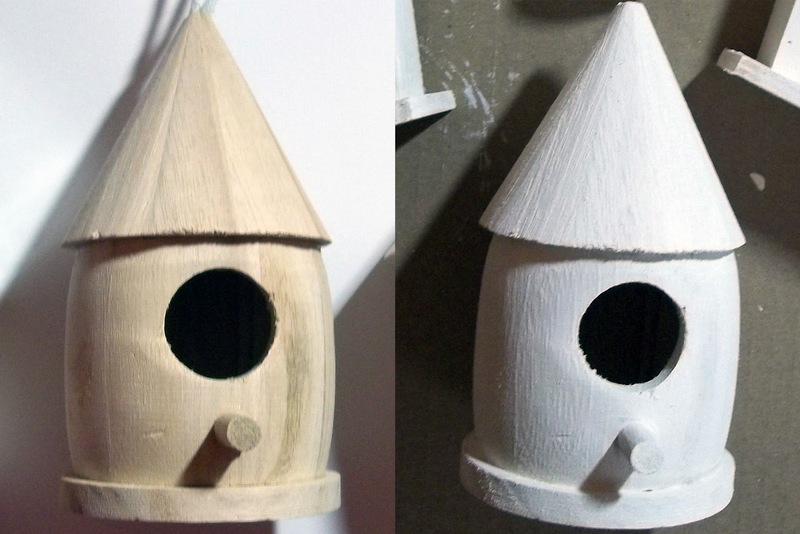 Take note at how cool this turned out from just beginning as a bird house! First let's get to know Sarah a little better! Hi There! My name is Sarah and I live in Ontario, Canada. I am a married, working mom to one beautiful little boy. I started scrapbooking a few years ago, and immediately fell in love with it. I absolutely love the creative process of putting together a scrapbook page. I love trying different (non-traditional) materials and new techniques; one of my favorite things to do is to make handmade embellishments, particularly flowers. Although most of my work is layouts, I also love using my scrapping supplies for other crafty items (e.g. holiday décor). I love working with sketches and also scrapbook challenge sites – so much so that I recently started my own Challenge Blog called “The Paper Mixing Bowl”. I’m having a lot of fun designing sketches/challenges and working with the blogs international Design Team. I was so excited when Pam, the owner of the Ideas for Scrapbookers blog, asked me if I'd be interested in being a featured designer on the blog sometime - of course my answer was YES! I actually had this little project in mind for a while - so this was the perfect impetus for me to actually sit down and do it! I love using my scrapbooking papers for off-the-page projects, such as home or holiday decorations, so I decided to create a lovely little Fairy House using Graphic 45's "Once Upon a Springtime" collection. 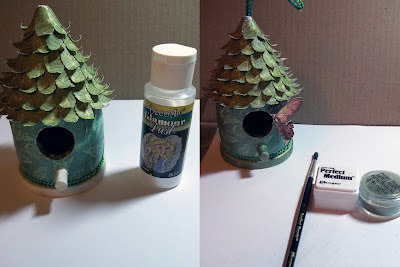 It is so easy to take a cheap item, like the miniature wooden birdhouse I got for $1.50, and turn it into something beautiful using just your normal scrapbooking supplies! I hope my project inspires you to try your own off the page project! 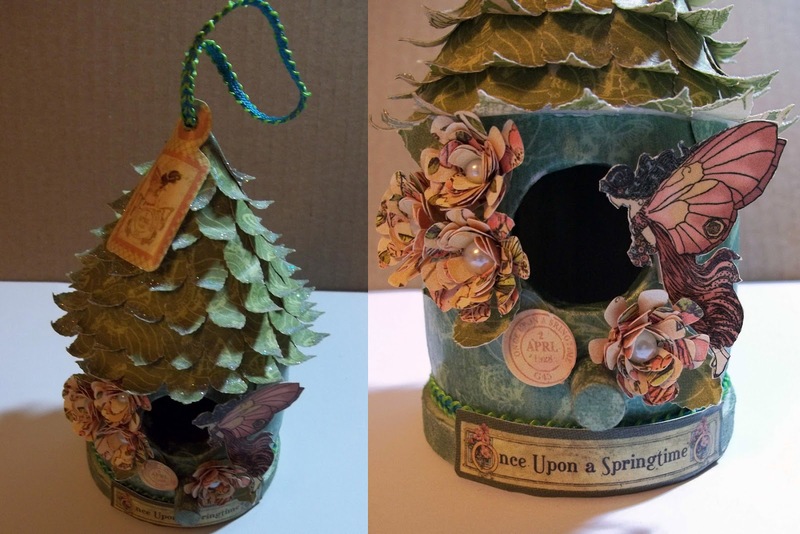 Here is a little step-by-step how I created my Once Upon a Springtime Fairy House! 1. 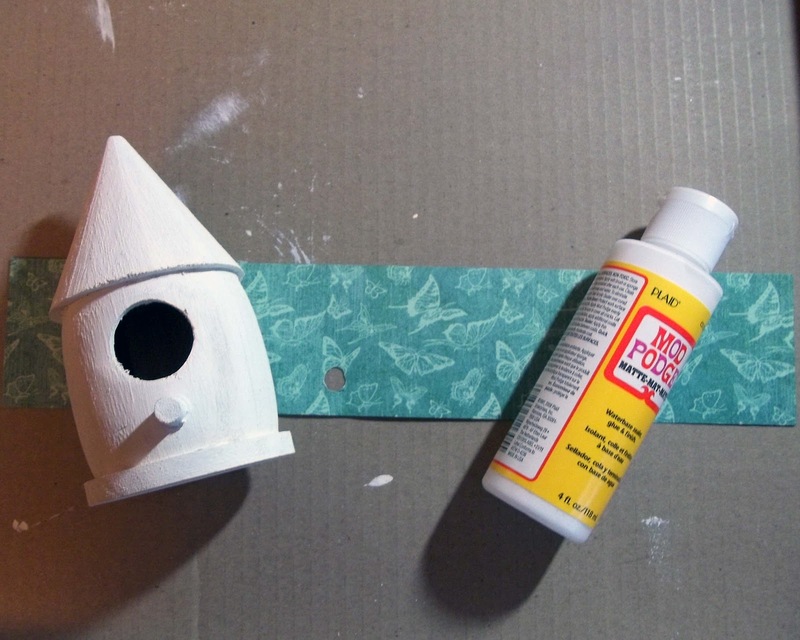 Paint the plain wooden house using an acrylic craft paint in Antique White. 2. a. Cut a strip of paper the height of the main 'body' of the house and punch a hole for the bird-perch. b. Mod podge the back of the paper strip and adhere it to the birdhouse. c. For the large hole in the birdhouse, I simply cut a starburst pattern into the paper and folded the points inwards. d. Finally, coat the paper with Mod Podge. 3. a. Punch out a heck of a lot of leaves - I used the Martha Stewart Rose Leaf punch. b. Curl the edges of the leaves - I used a thin paintbrush. c. Attach the leaves in graduating layers using liquid glue. 4. a. Brush the tips of the leaves with mod podge and sprinkle on glitter. 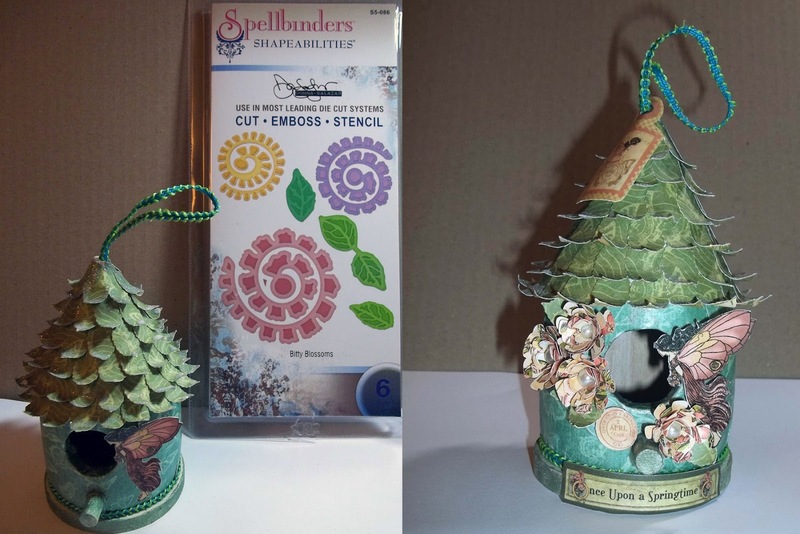 I used DecoArt Glamour Dust - it is so pretty and very fine (and unfortunately doesn't show up well in the photos). b. "Stamp" the perch and white edge of the base with Perfect Medium and Brush on Perfect Pearls (I used Green Patina). c. You'll also notice that I wrapped some ribbon around the edge of the birdhouse where it meets the base - I thought this gave it a nicer finish at the edge. I used the same ribbon at the top of the birdhouse for the hanging loop. 5. a. Fussy Cut a fairy from an 8x8 sheet of the Once Upon a Springtime paper. b. 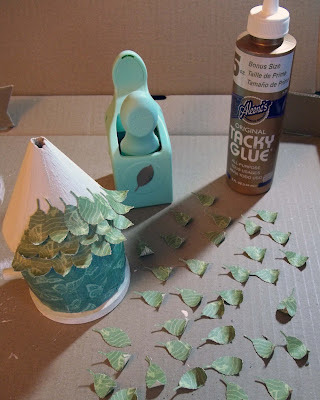 Coat Fairy with Mod Podge and adhere to birdhouse with 3D foam adhesive. 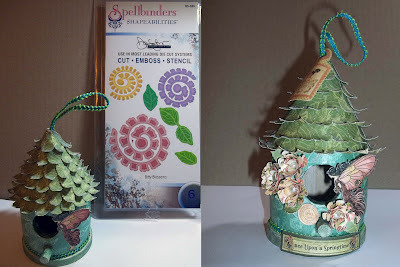 c. Add floral embellishments - I used the Spellbinders Shapeabilities Bitty Blossom die to create the roses for the fairy house. I simply wrapped them around a paintbrush to roll them into the size/shape I wanted and then used a glue dot to keep them together. I added a pearl bead to the centre of each flower. d. Add other embellishments using Mod Podge - I used the "Once Upon a Springtime" tag elements for the "title" piece and round postmarks. Here are a couple of photos of the final Fairy House from different angles! Thanks so much to Pam for having me as a guest on her blog! I had so much fun with this project that I think I might make a couple more and create a little set! That is absolutely stunning! I love it! Thanks so much for sharing this! Sarah, congratulations on this beautiful design, I love every bit of it, it is so creative and your colour choices are perfect, well done and thank you for sharing. TFS this wonderful project. I would love to make this for my daughter! A Template for your Fall Photos! A New Template with Angles!